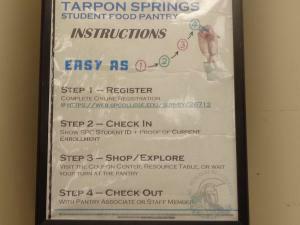 The Tarpon Springs Food Pantry is now open to all Saint Petersburg College students in need of certain necessities they do not have access to at home. 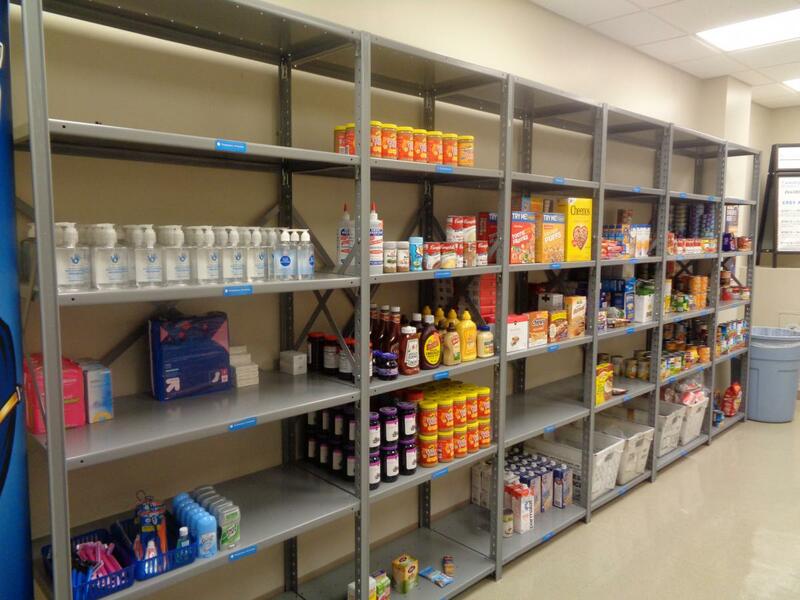 Items contained in the food pantry consist of canned foods such as soups, baked beans, canned vegetables, canned tuna fish, pumpkin pie filling, and cranberry sauce. The pantry also stocks Kraft macaroni and cheese, Ramen noodles, and cereals like Cheerios, Golden Puffs, Tootie Fruities, and oatmeal. 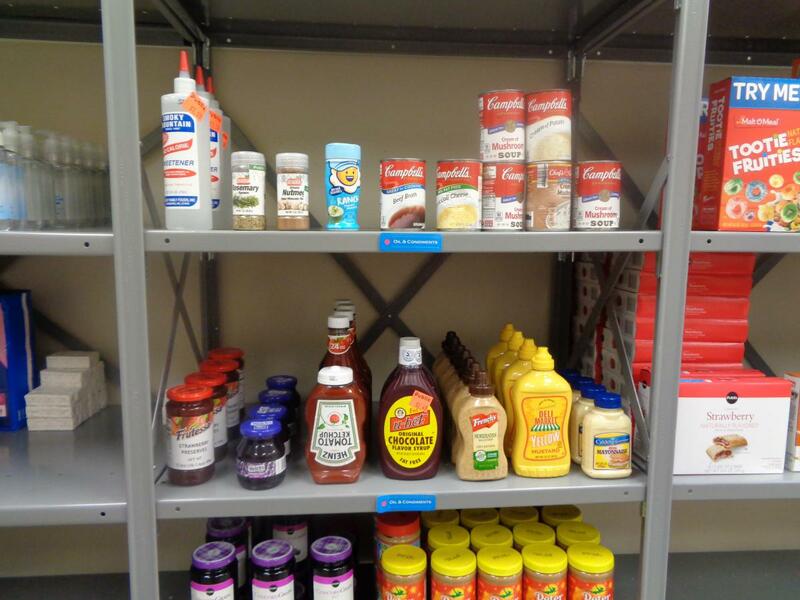 Other items include granola bars, peanut butter and jelly, and condiments such as ketchup and mustard. 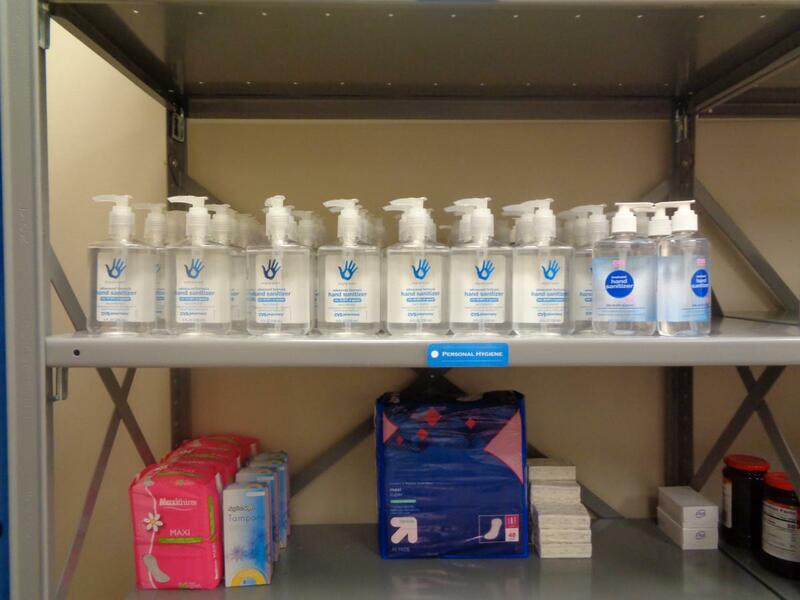 Food is not the only resource available at the food pantry; toiletries like shaving razors, toothbrushes, toothpaste, hand sanitizer, and deodorant are available as well. 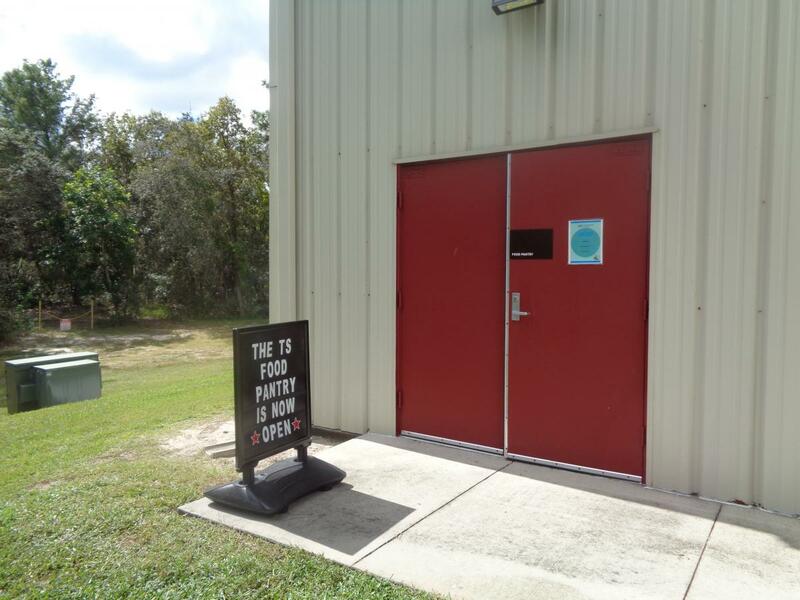 The food pantry on Tarpon Springs campus is located in the PS building inside room 188 and is open from the hours of 12:30 – 1:30 pm on Tuesdays and Thursdays and from 3:30 – 5:00 pm on Wednesdays. 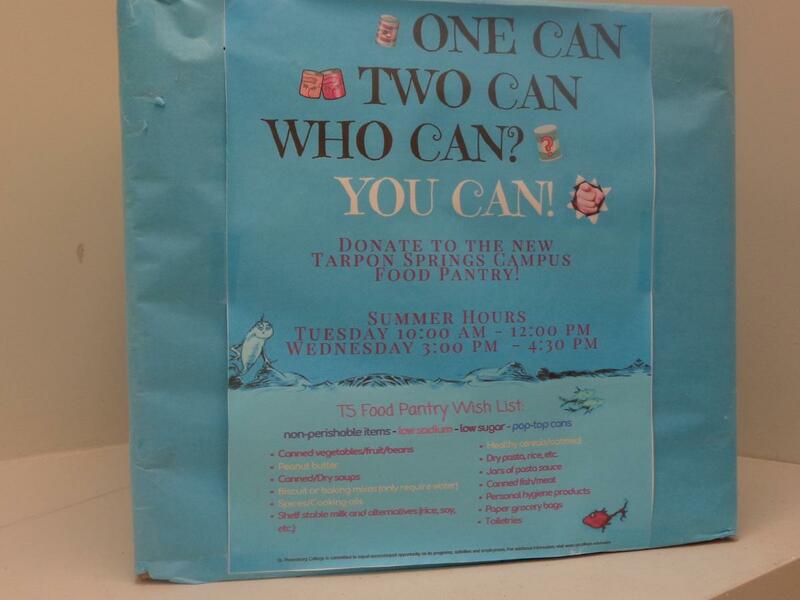 In the summer, the food pantry is opened from 10:00 am – 12:00 pm on Tuesdays, and 3:00 – 4:30 pm on Wednesdays. Sarah Renbjor and Josh Graham, who are part of the Student Life and Leadership Program, work at the food pantry located on the Tarpon Springs campus. How did the food pantry come to be? 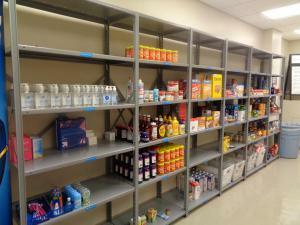 There was more than one person involved in the establishment of the food pantry. 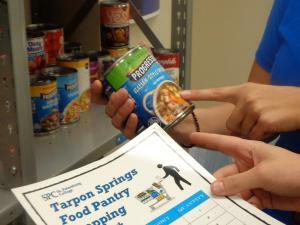 Dr. Rodrigo Davis, the Tarpon Springs Provost, revealed, “President Dr. Tonjua Williams stood behind the idea and helped establish a college-wide initiative to help students in need.” When Sarah Renbjor was asked how the food pantry at Tarpon came into existence, she said, “There were lots of food pantries on other SPC campuses and Tarpon was the only campus that did not have a food pantry. 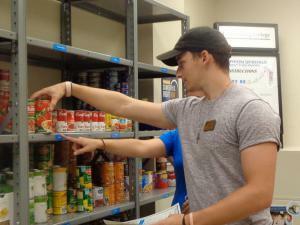 Over the summer, it became the discussion to open a food pantry on campus. We opened it at the end of the summer semester, and we have had it open ever since.” The food pantry is a great resource for students who may not have access to certain necessities at home. 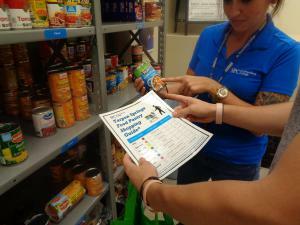 How can students utilize the food pantry? 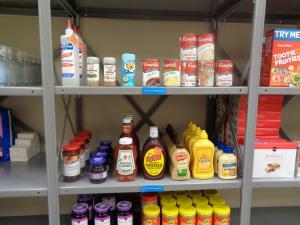 For the students who may be wondering how to go about using the food pantry as a resource, there are a few preliminary steps that must be taken. 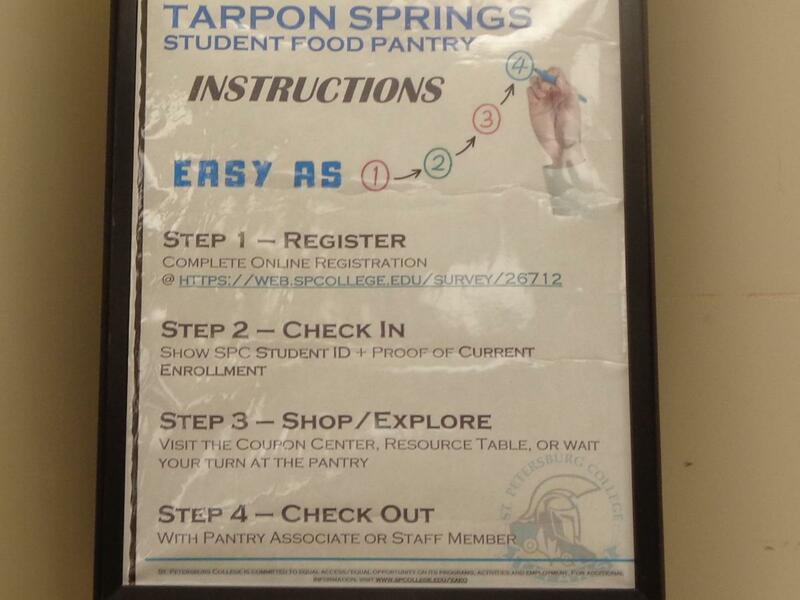 Renbjor explains, “The first step they need to do is complete an online registration found at https://web.spcollege.edu/survey/26712. It is a one-time survey. It asks a couple basic questions about the demographic of the student’s household, such as what kind of need their household requires, if they have any allergies, or anything like that. 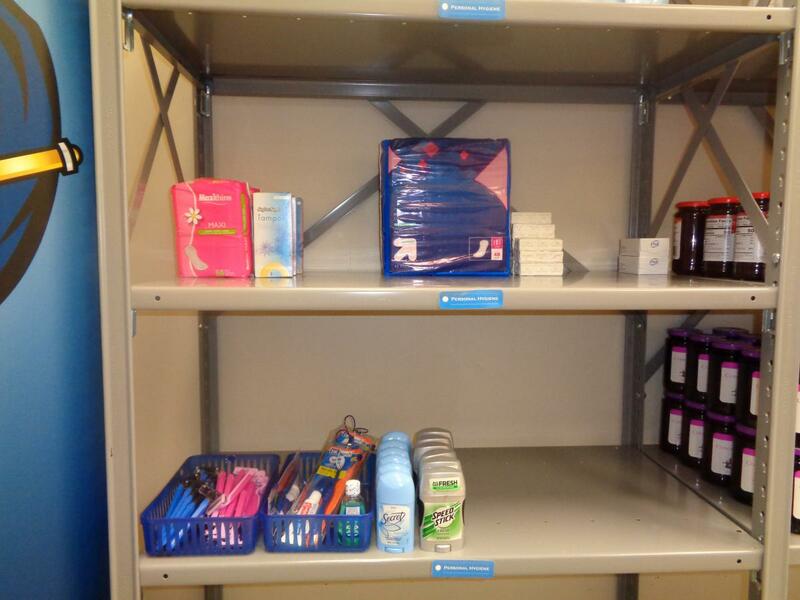 Then we determine [what supplies are needed] based on those things. 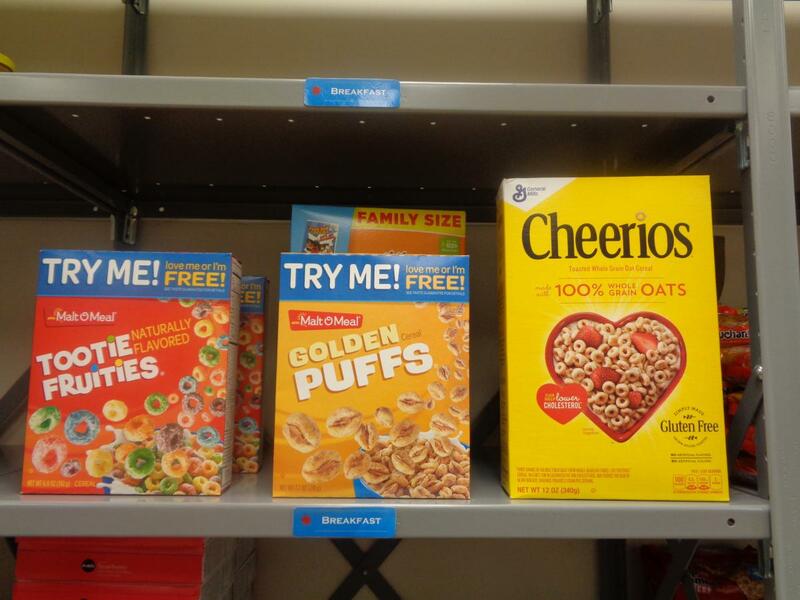 Beyond that, they just need to show their student ID or proof that they are active in the current semester. 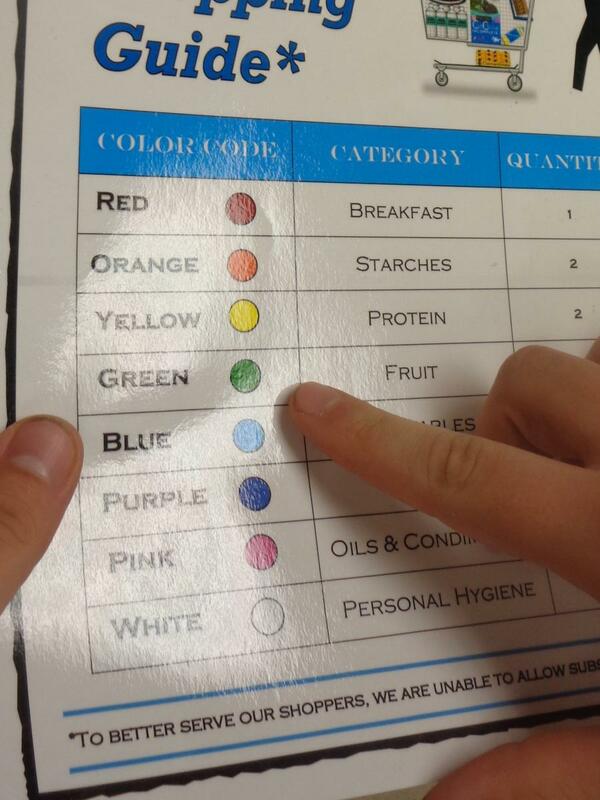 They can then shop at their leisure with their pre-determined shopping lists. 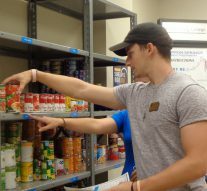 Students are allowed to come once a week.” After taking these steps, SPC students can enjoy having access to any items the food pantry offers. 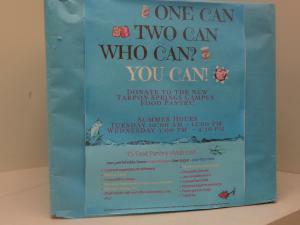 She went on to say the current supplies available at the Tarpon Springs location are a trial run to determine if the food pantry is well-equipped enough to supply the type of products that the students need. What type of donations are needed? 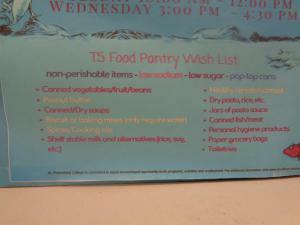 To people who feel they would like to donate, there are many acceptable donations. 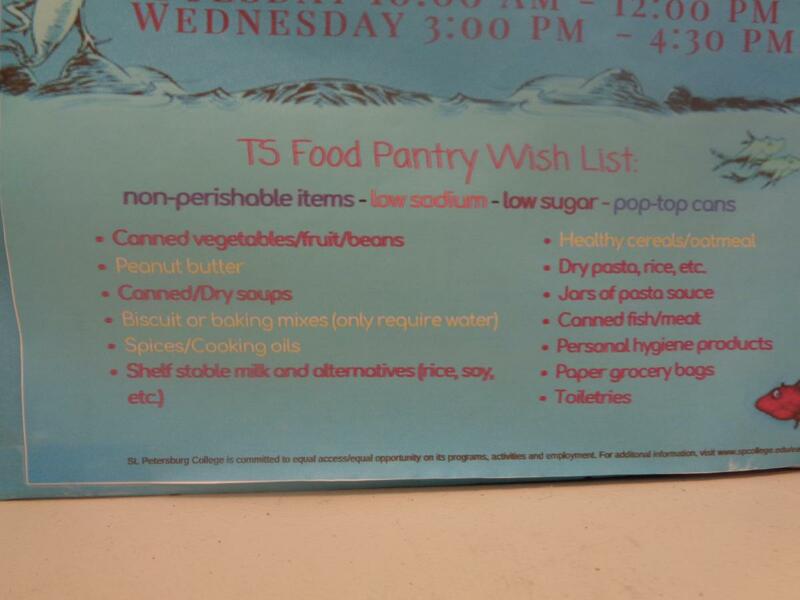 Specific items on the food pantry’s list include but are not limited to: canned vegetables/fruits/beans, peanut butter, canned/dry soups, biscuit or baking mixes that only require water, spices and cooking oils, shelf stable milk and alternatives (rice, soy, etc. 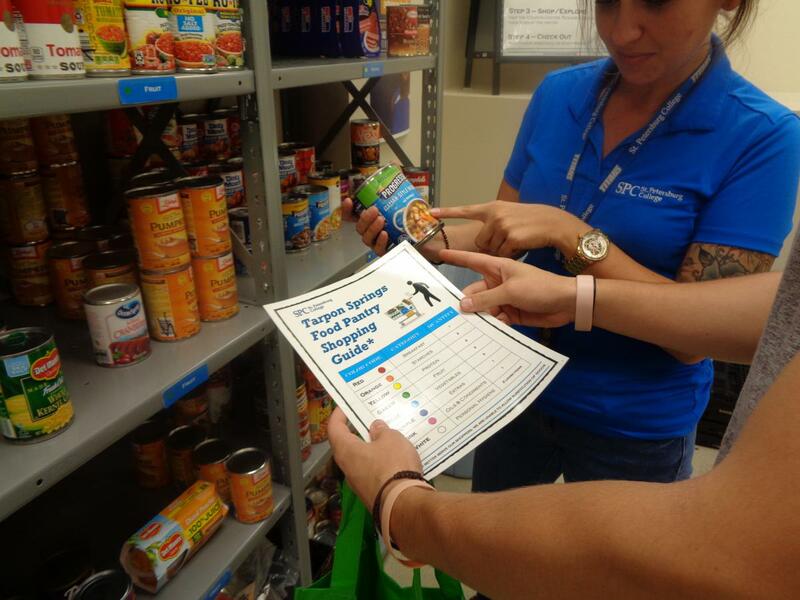 ), healthy cereals/oatmeal, dry pasta, rice, etc., jars of pasta sauce, canned fish/meat, personal hygiene products, paper grocery bags, and toiletries. If students have any further questions about the food pantry, they can obtain more information by contacting the Student Life and Leadership Center at http://go.spcollege.edu/student-life-contacts/ or by dropping by the Tarpon campus food pantry (room PS 188). 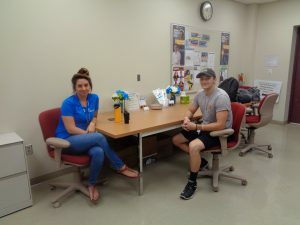 Students should remember that despite any economic disadvantages they might be facing, Saint Petersburg College is there to help students succeed.